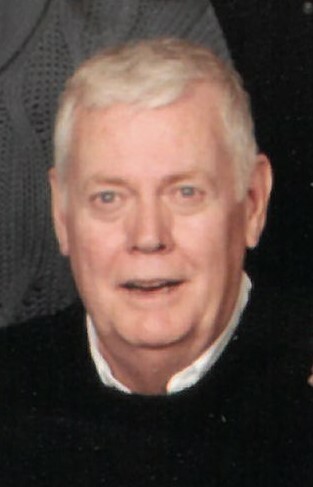 Joseph “ Joe” Earl Kelling, age 73, of Eagle Grove, Iowa left this world to join his heavenly father Tuesday, March 19, 2019. He was born on February 11, 1946, in Clarion, Iowa to George Martin and Lula Ruth (Beer) Kelling. He is survived by his wife Marsha Kelling; three daughters: Traci Lynn LaBoy, Tiffany Lee Mosher (Dan) and Terri June Torkelson (Robert); six grandchildren: Ana, Tony, Melissa, Mackenzie, Maci and Michael; and brother, Richard Kelling (Kathy). He was preceded in death by his parents, George and Lula; twin sisters, Irene Fitz and Ilene Gardalan and brothers, Charles, Raymond, George JR. and Robert. Joe graduated from Clarion High School in 1964 and shortly after went on to serve in the United States Army from November 1967 to February 1970. Upon his honorable discharge from the army, he met the love of his life, Marsha, who was working at the draft board at the time. Their inseparable bond began when she completed his discharge papers to let him out of the service. On December 18, 1970, Joe married Marsha Carter at Sacred Heart Catholic Church in Eagle Grove, Iowa. The couple made their home in Eagle Grove and continued to be faithful members at Sacred Heart Catholic Church, until they moved to Windsor Manor in Webster City in July 2017. As a devoted family man, Joe worked hard throughout his life to provide for his family. After his father’s passing, Joe began his first job, at the age of eight, working at the bowling alley setting up pins for $0.12 a line. After the military, Joe worked for the Rail Road for a short time, before his career of over 24 years as Office Manager at Boone Valley Implement which later became Farmland Industries. Joe worked several part-time jobs throughout his life, always staying busy to provide for his wife and girls. Joe had a variety of different interests. He enjoyed golfing, bowling and playing card games –like 500 and cribbage. But most of all, Joe lived his life to take care of his wife, Marsha, and always strived to see his children and grandchildren happy. Joe always had a smile on his face and a joke up his sleeve, using his innate sense of humor to make those around him laugh. Joe filled the hearts of those around him with love and laughter. He was good-natured, steady and the best kind of stubborn. Joe was a loyal husband, loving father and grandfather, and a steadfast leader for his family. Joe will be deeply missed by those who were privileged enough to spend time with him. Mass Of Christian Burial will be held on Saturday, March 23, 2019, 10:30 a.m. at Sacred Heart Catholic Church in Eagle Grove with Father Jerry Blake, Celebrating. Visitation will be one hour prior to service time in the Parrish Hall with a Rosary service at 9:00 a.m.